ermm...how do i get on the island? The extraordinary modular, reusable structure was made entirely out of recycled materials in accordance with vernacular Thai architecture. Everything can be reused or recycled, and local people were employed to do the job. 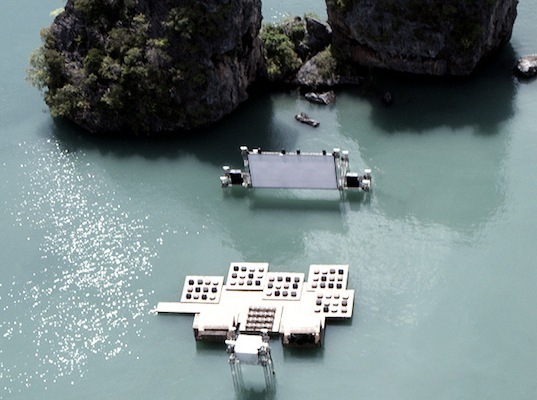 Now that the film festival is complete, Archipelago Cinema will be donated to the Yao Noi community that built it in the first place. 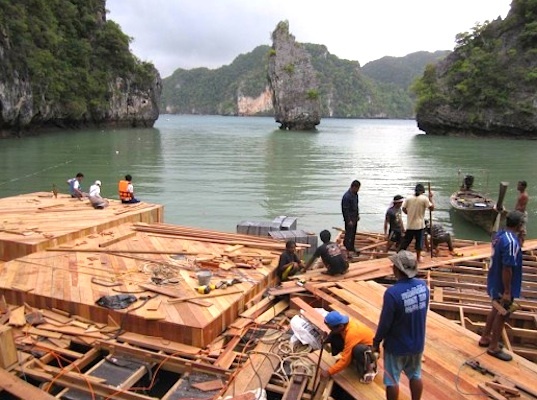 The wooden, floating auditorium will be used as a floating playground and stage! We really can't think of a better way to watch a movie than being immersed in one of the world's most majestic natural locations.